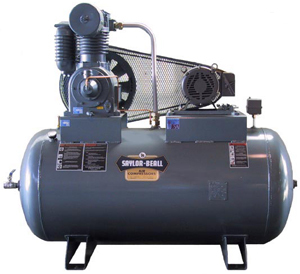 A&W Compressor is proud to offer air compressor rental services for businesses in Knoxville, Tennessee. Whether you need an electric air compressor, vacuum, or pump, you can count on A&W Compressor to provide you with the equipment you seek. Additionally, our flexible contracts enable you to rent equipment for however long you need, from a few days to a few years, making us the ideal choice for temporary needs and short-term projects. As a comprehensive service and repair company, A&W Compressor offers much more than just rentals to ensure the compressed air needs of your business are completely covered. We provide repair services for compressed air systems and have technicians on call 24/7/365 to respond to emergency situations. Our maintenance packages also help prevent the likelihood of breakdowns and keep your air compressor system in peak condition. And if it’s time to replace your old equipment altogether, we also sell new, used, and refurbished compressors from some of the most trusted brands in the industry, like Atlas Copco. If you’re interested in an air compressor rental or any service related to compressed air systems, contact A&W Compressor today. We proudly serve business in Knoxville, TN, and the surrounding communities.